Hans Andersen Club hasn't added a story. The Asia Pacific Bike Ride is an international charity event dedicated to raise funds and awareness for our local charity partners in Asia. This year, the Bike Ride will take place in Danang, Vietnam from 26 to 28 October 2018. Each year our employees from across the region participate in the Asia Pacific Bike Ride, a two-day cycling event held in a different Asian country each year. Participants support community-activities back home by raising funds for their local charity partners. Societe Generale is paying all the payment processing and crowdfunding system fees for this initiative. As a result, 100% of your contribution goes to the charity partner. This is one of the most cost effective ways for you to make a bigger impact with your donation. Please give generously. 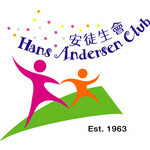 This campaign is in support of our charity partner Hans Andersen Club in Hong Kong. Hans Andersen Club hasn't posted any updates yet. Hans Andersen Club is managing the funds for this campaign.